To provide an understanding of the rationale behind the OEP design, service implementation, and the principles of exercise programming and the guidelines for leading exercise for frailer older people in 1-2-1 and group settings. The Course consists of the original 22 OTAGO Exercise Programme exercises, designed to prevent falls and improve balance, strength and confidence, that made up the original OTAGO Exercise Programme home exercise study design. There are some additional warm up and cool down exercises to ensure current international guidelines are followed. The specific order and progressions for each exercise is predetermined for OEP Leaders by LLT. Underpinning knowledge covers the rate of ageing and falls in the ageing population and the effects of physical activity on health, physical performance, movement control, confidence and quality of life in old age. Learners will practice leading the OTAGO exercises under the guidance of highly skilled tutor; exercise technique, safety, communication skills and safe management skills are emphasized in order for the OEP to be delivered in small groups. The OEP can be lead by a range of health professionals, and exercise leaders/instructors and should be implemented as part of a broader falls prevention service. L2 OEP Leaders should be working as part of an agreed pathway where by suitability for participation in the OEP is assessed by an appropriate health professional. LLT have developed an online training portal designed to give more flexibility, reduce travel costs and time required off work and allow theory elements of the training to be completed in your own time. LLT are still committed to face to face/practical workshops and all these remain in place for your training, it is the theory elements that lend themselves well to self-directed learning that will be placed onto the online portal for your convenience. How will the online training portal work? Once you have watched all of these, there is an MCQ quiz for you to complete online plus a short answer worksheet for you to complete and send to us (both of these form part of your assessment/qualification) prior to the face to face training. IMPORTANT: The online tasks are mandatory to complete before the face to face training. Please note we do not recommend using smartphones or tablets for the e-learning work. There are no hardware requirements. There are software requirements – the minimum browser version that can be used is: recent Google Chrome(30+), recent Mozilla Firefox(25+), Safari 6, Internet Explorer 9 or 10. Following the online pre-course learning, the face to face training will focus on the leading and teaching skills of the OEP to prepare you for your practical assessment. The face to face course runs over 3 full days (9 am – 5.15 pm). 2 face to face course days followed by 1 day practical assessment. This course runs over a minimum of 4 weeks to allow task oriented practice before the assessment. We also run 2 days accelerated courses for Physiotherapists and Therapy Instructors (Tis), with at least one years experience of teaching older adults. One day covers the practical delivery of the exercises (and support) and one day is the Assessment. Each candidate receives a copy of the “How to Lead” Manual developed by Later Life Training. Candidates can freely download the original OTAGO Exercise Programme Manual from New Zealand (from enrolled course page), an OEP home exercise booklet for their clients, and can purchase the audio files of the exercises so that they can burn the files onto a CD for older people to play them on their CD player or transfer them to an iPod. Successful learners will receive a Later Life Training Certificate (OTAGO Exercise Programme Leaders Award). The Certificate states that the learner has been awarded 16 REPs CPD points. Important: CPD points are valid for instructors who are members of REPs and have achieved the REPs required pre-requisites. Due to changes in the REPs training framework and emergence of L3 Older Adult qualification, learners are recommended to check cover with their insurance providers. The course has been aligned with NVQ Level 2 in Care and Level 2 in Exercise and Fitness. The course will provide evidence which can be used towards specific units of NVQs but will not in itself cover the full range of an NVQ unit. Attendance Only certificates will be given as appropriate. The OEP can be lead by a range of health professionals (i.e physiotherapists), and highly qualified exercise leaders/instructors (L3/L4) who have additional skills and professional working parameters and should be implemented as part of a broader falls prevention service. L2 OEP Leaders should be working as part of an agreed pathway where by suitability for participation in the OEP is assessed by an appropriate health professional. The OEP is an evidence based home exercise programme with a group exercise application. It is a L2 course because it is a ‘pre-set’ programme of exercises, where OEP Leaders work alongside other health professionals and as part of a broader falls prevention service. Only higher skilled health professionals (physiotherapists) or L4 PSI’s may identify patient suitability and exercise progressions. Not all OEP Leaders are the same (they can range from health professionals to L2 instructors, L3 and L4 instructors) therefore some OEP Leaders can undertake elements of the programme that other OEP Leaders may not. For this reason it does not align ‘simply’ to the current training framework for exercise professionals. Issues of insurance are complex and varied and dependent on whether instructors are REPs registered will impact on pre-requisites required for insurance to be valid. Not all insurance providers are the same either. At the point that an older person commences a group or 1-2-1 exercise programme, someone must be accountable for ensuring that they are in the right place/programme. Not all OEP Leaders are the same because it depends on their other qualifications as to whether they have the skills to recognise whether the person is suitable. Taking a broader view of a service, we advise that physiotherapy form part of your steering group for agreeing inclusion criteria for OEP in any setting because this helps develop the partnership working that will benefit the service, and the individual. We don’t want people going straight to OEP if there is a suggestion that they have medical issues and really need a more comprehensive falls assessment. As a standard recommendation to ensure you are clear about insurance you hold, we/LLT recommend that you contact your insurance provider prior to applying for any training with us. Because OEP is a little different to other certificates and in line with our commitment to support leaders and instructors in increasing evidence based exercise for older people and frailer older people, we consulted with CMC Insurance in order to provide a solution. If you are a L2 Fitness Instructor not holding a L3 Older Adult qualification or L4 PSI your insurance with REPs may not cover you to lead the OEP. We are delighted to confirm that Aviva (the underwriters for CMC Insurance) have agreed to include OEP cover within standard FitPro insurance. On completion of your OEP training you would need to to forward a copy of the certificate to FitPro, together with your Level 2 certificate. You can take out membership and insurance with FitPro on-line. The Otago Exercise Programme Leaders Award was developed in collaboration with Professor John Campbell and Dr Clare Robertson of Otago University, New Zealand and with Julie Whitney of Kings College Hospital Trust, London, UK and launched by LLT in 2007. Susie Dinan, Dawn Skelton and Sheena Gawler are the LLT developers of this course. An article, in FitPro, about the OEP course can be seen here. It is anticipated that successful learners will deliver sessions either working within the therapies in a hospital based programme or leading falls and injury prevention sessions in community settings as part of a local health improvement plan or onward referral from the Falls or Care of the Elderly rehabilitation setting. 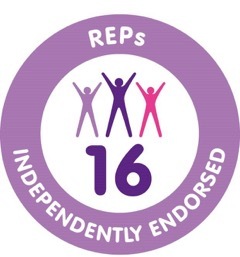 The OEP Course is endorsed by PD:Approval (now managing all endorsements previously of Skills Active) and REPs and receives 16 CPD points for professionals who are REPs members. We are also proud to receive endorsement from AGILE, the specialist Older Peoples Section of the Chartered Society of Physiotherapy, and from ProFouND (Prevention of Falls Network for Dissemination). In New Zealand, a targeted home exercise program (OTAGO), to women aged over 80, a population at high risk of falls, was taught to participants in their own homes by a physiotherapist and compared to social visits as a control (for review see Campbell & Robertson 2006). Exercises were individually prescribed from a set number of warm up, muscle strength and balance training exercises to perform 3 times a week for a year. They were also encouraged to walk outdoors at their desired pace building up to 30 minutes 2-3 times a week. The physiotherapist visited each intervention participant four times over the first two months following on with regular telephone contact. The exercise group had a significantly lower rate of falls. This exercise approach, now called the Otago Exercise Programme has been further investigated in four RCTs (Campbell & Robertson 2006). A study in Norway showed that over a 12 week period, OEP delivered in groups had better improvements in balance and function than a home based programme. 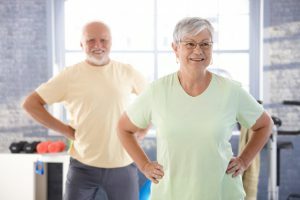 More recently, ProAct65+, a research study looking at primary prevention has shown that OEP is less effective at reducing falls in low risk patients than FaME (PSI) so it is clear that OEP is suitable for frailer older people at high risk of falls and is a starting point for moving people into more challenging balance exercise for ongoing gains. Candidates will have completed worksheets online and submitted them prior to the face to face course days. On the assessment day, there will be assessment of the competence of the practical leading of 5 of the exercises and of the written presentation of the leading plan for all of the exercises (instructions/technique points). Assessment Appeals Procedure – If you wish to make an appeal against your assessment decision, please complete the form contained within our LLT Appeals Procedure. Payment must be received at least 4 weeks prior to face to face training days in order to allow access to the online training portal. The full 3 day course cost is £420 plus VAT per applicant and includes the Course Manuals, Assessments and Certification. The 2 day accelerated course is for physios only and costs £310 plus VAT per applicant and includes the Course Manuals, Assessments and Certification. LLT offer discounts on courses, see if you qualify. If you are a REPs registered instructor or hold insurance with another broker, before applying for a course with us you are advised to read the information regarding pre-requisite requirements, or contact REPS to be sure as this may impact on the validation of the insurance you hold. You can apply online here, but first we ask that you ensure you have read the Eligibility Guidelines and the statement about Medical Conditions and Learning Support Requirements below. You should also have read the OEP Terms and Conditions either for the full course or the Accelerated 2 day course. Course dates can be found here. If there are no courses currently in your area we will initiate a course as soon as there is enough interest but we cannot guarantee a timeframe for this. If you are interested in hosting an Otago course in your area, please contact the LLT Office. We do offer discounts to hosts depending on the number of applicants enrolled. Terms and Conditions for OEP Hosts can be viewed here and for Hosts of the Accelerated two day OEP course (for Physios and Tis), here. We encourage everyone to be responsible for their own learning. In light of this, we ask that you please inform us, at point of booking, about any learning support requirements and/or medical conditions support that will help you to access our course content and learn effectively. All information will be treated confidentially and we will make reasonable adjustments to meet your needs. The OEP certificate is accredited on REPS as CPD (Continuing Professional Development). Therefore as a standalone certificate, it does not give entry onto REPS. For many people that take the OEP course (eg. technical assistants and physiotherapists) they do not need to be on REPS as they are registered with either the CSP or the Health and Care Professions Council. If you wish to gain entry to REPS, you must first complete a course which gains entry onto REPS. LLT do not deliver any courses which gain entry onto REPS, only CPD for those already on REPS, or L4 courses for those who have the pre-requisite entry qualifications for REPS. Many OEP leaders have already undertaken the Chair-Based Exercise Leaders course but this is a great way to learn more chair adaptations for frailer older people. There are currently no CPD days for OEP leaders, however, there are CPD days for CBE leaders which OEP leaders can attend and there are also CPD days listed under CPD for PSIs which are available to anyone (not just PSI instructors) and may be of interest – eg. working with Parkinson’s patients, Osteoporosis patients and visual impairment, Motivation and Tai Chi moves.